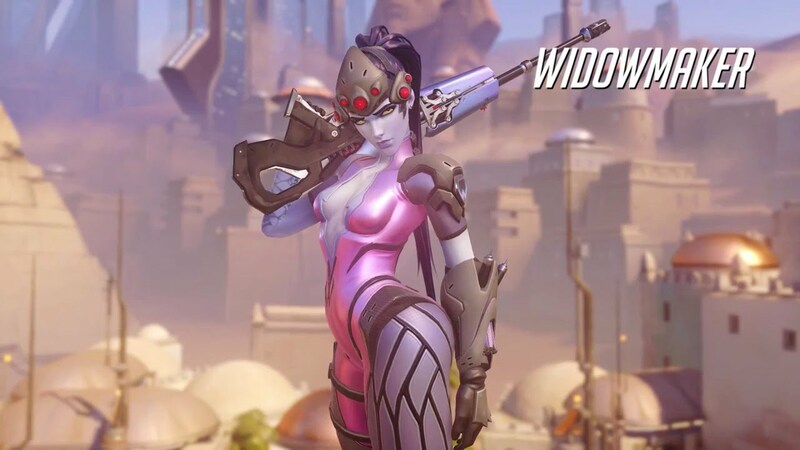 With Overwatch beta starting earlier this week, it seems that the Heroes community exploded once again with adding these characters from Overwatch into Heroes. I mean, with characters there having 4-5 abilities already it seems simple enough to port these over to Heroes. I get Blizzard‘s stance on wanting to sit on these heroes until Overwatch becomes a success and releases, as we know even Starcraft: Ghost ended up being scrapped even after playable demo’s of it were available, but I really don’t see the project being scrapped altogether. I can, however, see some heroes that might be getting complete overhauls. I haven’t been watching too many streams and can’t see any outlying overpowered or clunky heroes that would need to get this treatment (like what Illidan received in Alpha – video link to what he was like before), but if the beta rolls out further and Blizzard feels that certain heroes just don’t play well, we could see new kits that would end up being outdated in HotS if they were already ported over. Not only that, but Heroes in HotS generally have 6 skills if you include two heroics and trait, when in Overwatch it seems the standard abilities is only 4. That being said, many people are still suggesting not just new heroes entirely, but they’re also suggesting skins for existing heroes, to make Gazlowe look like Torbjörn, Nova look like Widowmaker and Stitches look like Roadhog. The problem in these circumstances is similar to those mentioned above: Torbjörn doesn’t use laser beams or bombs (in either a gravity or stunning sense), Widowmaker doesn’t make decoys of herself or run around invisible most of the game and the similarities between Stitches and Roadhog stops at the hook. HotS will have overlap of abilities at certain points, it’s always going to be more about the kit in general rather than looking at a single ability and saying “Hurr Chen’s Flying Kick and Illidan’s Dive both do the same thing, so they should be a skin of the other”. Heck, we could even say Roadhog’s Chain Hook pulls an enemy toward him for 0.5sec, leaves them where they land (assuming passable terrain) and slows them for 35% to differentiate two different hook mechanics. Another interesting crossover I’ve seen noticed is Reaper and Valla. After all, Death Blossom looks very similar to Strafe after all, and with an epic skin Vault could be reskinned to look like Shadow Step or Wraith Form from Reaper. Hellfire Shotguns could both be shot to make Multishot a viable reskin. Hungering Arrow could have some kind of shadowy/wraithlike shot, and Rain of Vengeance… Is where it kind of falls short. Plus, we merged both Shadow Step and Wraith Form into one ability where both of them as separate abilities enhances his “black shadow” fantasy. So while it would be cool to have existing heroes reskinned, and some of them even make great arguments for that to happen, I just feel that it would be better served to just have them as standalone heroes. 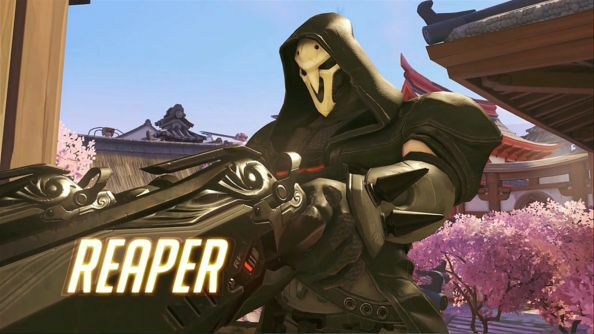 Trait: Shotgun Specialist – While Reaper can shoot at long range, it is at mid-close range where he gains max damage. R1: Death Blossom – Similar to Valla’s Strafe, maybe shorter radius/shorter duration but more damage or shorter CD? R2: Marked for Death – While not an official ability of his, his bio states that he was systematically eliminating Overwatch agents. Therefore his second heroic could be something to reveal the closest enemy hero for 15 seconds. Then his talents would revolve heavily around being an AA hero with Giant Killer, Executioner, Focused Attack etc, with some pickups such as health regen on Wraith Form, movement speed bonus after using Shadow Step, and things like that. So yeah, while I think it would be awesome to see Overwatch characters in Heroes of the Storm eventually, I don’t want to see them be relegated to skins of other heroes (unless it was a fun thing like Betrayer Malf, Shan’do Illidan and AzGul’dan), but I do think it’s best to let Overwatch be fully released before implementing them into the hero brawler. We simply don’t know what the final versions of these heroes are going to be, and as said previously it would end up having to change them in HotS, and we’re left with two PvP games that Blizzard are trying to balance.